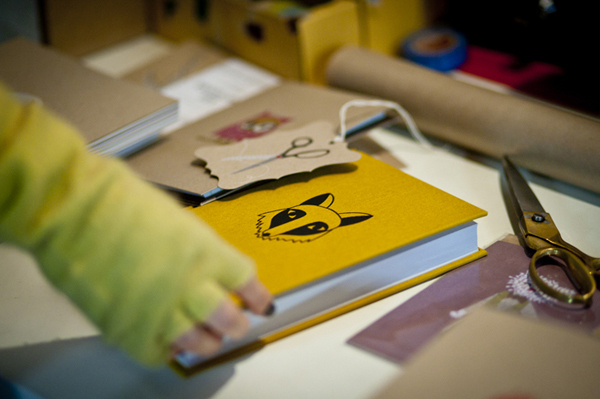 FK talks to Sass from Melbourne based stationery label, Ask Alice. We love your super cute label, can you tell us how you got started? Oh, thank you! I blush when people compliment my work! The very early beginnings of Ask Alice took place in Japan. I was living in Tokyo for a couple of years and was totally inspired by Japan in so many ways. I collected all kinds of papers there, from origami paper, wrapping paper, newspapers, tickets and labels. I had my fingers in my scarp book most of the time, where I would be drawing and making illustrations with all my scraps of paper. I filled up several books with illustrations and decided I would like to turn them into something more. 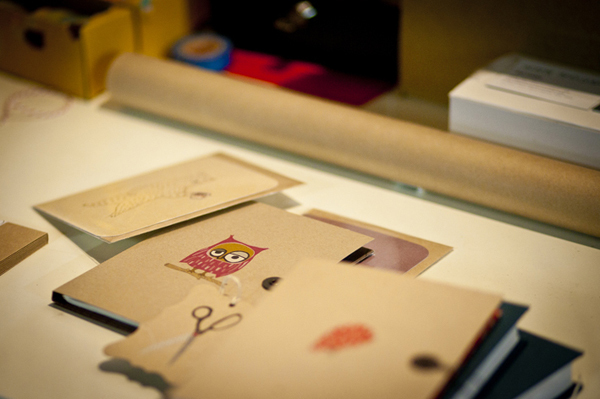 The decision to make stationery was a pretty easy one because I LOVE stationery. When I moved back to Melbourne, I knuckled down and got Ask Alice off the ground. What is your background in and how did it lead to where you are today? I didn’t really have much of a background career wise, but I did study Fashion Design at RMIT. I think the design study as well as all my travel overseas was a good recipe for a stationery label. 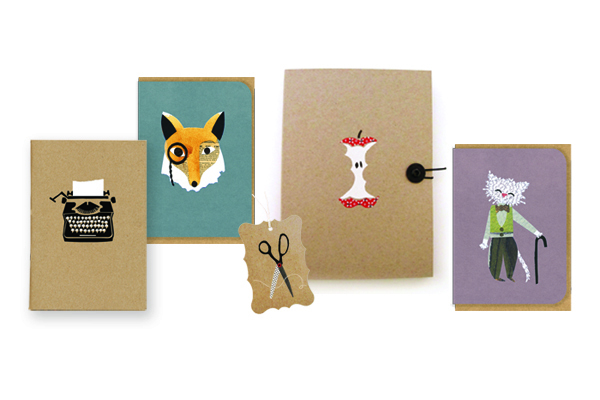 What do you love about working with paper and stationery? I love that I can keep production local. I’m really interested in the manufacturing process, I enjoy visiting my printer and binder and watching the machines running. I sometimes think about how ace it would be to have the skills to operate these machines myself. I Might have to start an apprenticeship with a local letterpress printer! What inspires your work and what keeps you motivated? Craft inspires me. 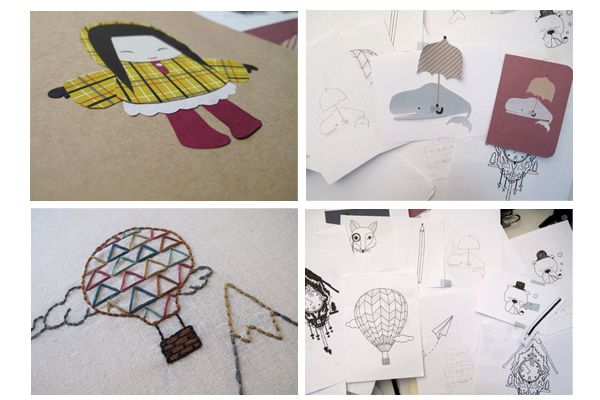 I love to knit, sew, cut, paste, embroider, gocco and create! All my products start as an illustration which I create through some kind of crafty process like paper collage or embroidery. All those clever grannies and crafty cats out there… they are my inspiration. 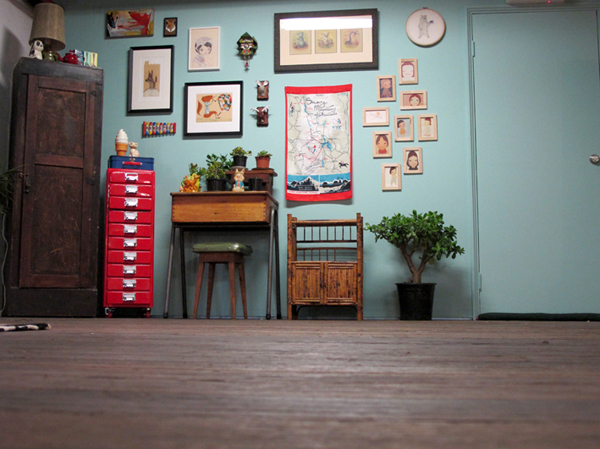 What is your workspace like and what is an essential aspect of your working day? I love my work space! After 2 years of working from home in a cramped corner of my bedroom, I finally moved to a super nice spot in Melbourne’s inner suburb of Kensington. I am in a great old converted wool shed with lots of other local businesses. I share my space with some friends and am having fun decorating it with bits and pieces I pick up at garage sales and flea markets. 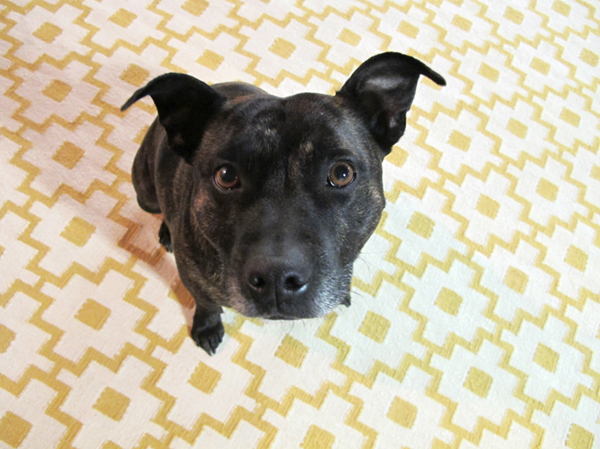 The essential aspect of my work day is something that my dog taught me. He likes to have a daily routine, otherwise he gets stressed out and I just realised the same applies to me. Everyday we follow a routine starting with our morning walk. It’s really important for me to have breaks throughout the day, otherwise I will sit at my computer for hours on end. So we have regular doggie breaks. My dog will always remind me when it’s time to leave work too. I’m sure he knows how to read the time. What new things can we look forward to from Ask Alice later this year? I have quite a few new products in the works at the moment and am having trouble picking which products to release first. I am pretty excited about a cute range of letterpress art prints and am thinking about a fun parcel posting set which might have big envelopes, string, stickers, all that fun postal stuff.